This is done on an old wooden kindergarten chair. The flower was designed by the owner in her high-school art class. 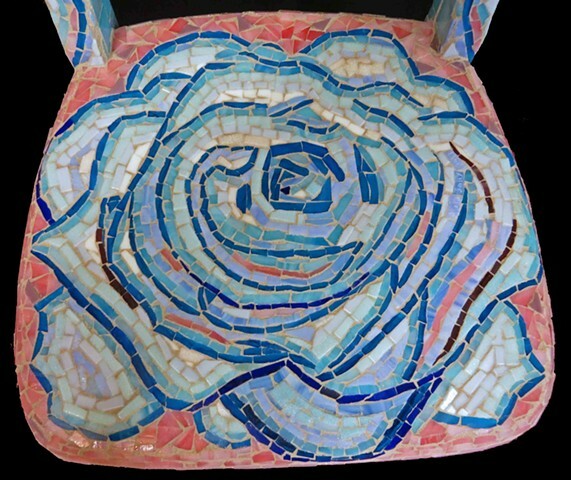 I had the privilege to transfer the pattern in mosaic and create a life long memory for her. The piece is made of all stained glass.